Until this fall, these artist's conceptions of the 2018 iPhone models are all there is. Just about everyone agrees that Apple is prepping three iPhone models for release this fall. Analysts don’t agree on what these will cost. Ming-Chi Kuo, who has a long history of being generally correct about Apple’s plans, said today that these devices will have lower prices than some might fear. The iPhone X is hugely successful, despite its $999 price. Some have taken this to mean Apple will price all its new smartphones near $1000. Kuo doesn’t agree. The analyst says the company will “adopt a more aggressive price policy,” according to 9to5Mac. He points out that Apple wants to get more people using Face ID and animojis, and doing that requires selling people new devices with the necessary facial scanner. The easiest prediction to make about Apple’s fall plans is that there’ll be an iPhone X successor with a 5.8-inch display. Ming-Chi Kuo predicts this will cost between $800 and $900. If he’s correct, that will make it at least $100 less than its predecessor. 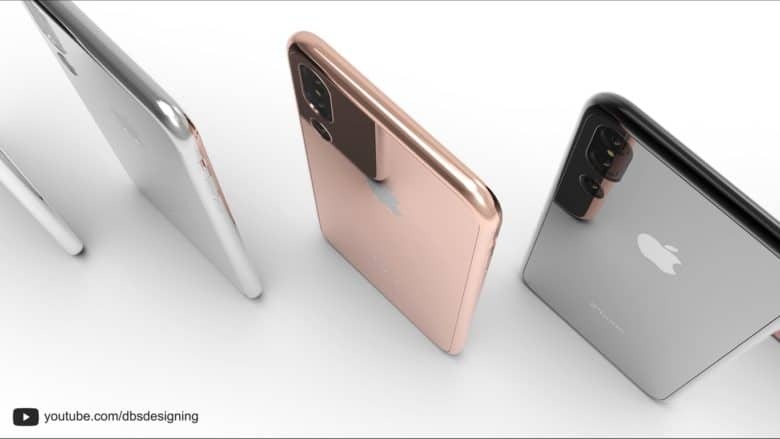 There have been numerous rumors about 6.5-inch version of this same device, sometimes called the iPhone X Plus. This will be priced between $900 and $1000, according to Kuo. Both those iOS smartphones will have OLED screens. A 6.1-inch iPhone with an LCD has been rumored. Kuo goes out on a limb to say this will cost between $600 and $700. Don’t expect to hear anything about these during today’s keynote address for its developers conference. “We believe Apple will announce 3 new models at the same time in September and 3 new models will be available in September,” Kuo said in his note to investors this morning. The analyst made no mention of the second-generation iPhone SE in his predictions. It’s not known if he’s silent on this device because he knows nothing about it, or if it doesn’t exist. Or both. Ming-Chi Kuo has covered Apple for many years, always for KGI Securities. He left this company in the spring, however. Today’s note to investors came from his new company, TF International Securities. It seems Kuo has a new employer, but isn’t changing what he does: give investors advance notice about Apple’s future plans.